Let's talk about naps. I get it, I do. These guys work a lot. Anywhere from 5-7 days a week 10-16 hours a day, weekends, holidays, late nights, on their feet-yadda yadda yadda. But as soon as I see Erik hit the couch on Sunday afternoon my eyes roll dramatically- and I know it's in part-jealousy. In my house I have three boys against one girl, and three nappers against the non-napper, me. The odds are not ever in my favor. The 3 year old, Maverik naps once a day for two hours, the newborn, Wyatt naps about 2 hours each day adding up all those cat naps, but the chef-he chef falls hard. He certainly doesn't nap as much as the babes, but he crashes much quicker. Erik will often lay down with Maverik after lunch on his days off and I hear snoring long before my 3 year old stops wiggling. Where am I in this picture you ask? I'm all over the place doing laundry, paying bills, organizing the junk drawer or grading papers. I just can't sit. I absolutely hate it because I wish I could relax. I wonder if they have an online class for that. Don't get me wrong, when Wyatt was less than a month old, I napped when baby napped- just like the experts said to do, and I had to in order to take care of the two little ones- in order to survive. Erik certainly isn't to blame for napping, he needs it. He also suffers from sleep apnea so even when he is asleep it's not that deep sleep we all so desperately need. But there is something else that gets me agitated when he take his siesta: time. That precious thing none of us have enough of. As twenty first century people living on Earth we don't have time to exercise, call our parents, or visit with old friends. 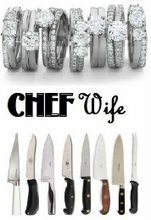 And as women dating and married to chefs we don't have time to see them. It just doesn't exist. So even though these guys need to make up for lost sleep, I can't help but see it as time lost. I can't help but think, "We could be going on a walk right now, or drinking tea in the backyard." Do any of you have chefnappers at home? Does it bother you? Are you a mover and shaker like me finding it difficult to even sit down? I'd love to know how the chef populace is sleeping during the day. Thank you for posting this! Been married to an executive chef for almost 10 years and we have 2 young boys. I can't stand it when he falls asleep, in the middle of the afternoon, on the couch on days off. I know he deserves rest....but so do I and I don't get days off from parenting. So, yeah, when he falls asleep I want to throw toys at his head. I get it. They have late nights, long days and odd days off. Still want to throw a toy at him when he naps while I stay busy. Oh my god! Yes, yes, yes!! I go through this horrible cycle of 'he needs it, let him sleep....' vs seething barely veiled rage 'I've been holding things together with a shoe string all week with the small home that if I just did that, we'd have time together this weekend (read: this one day off a week), I guess I'll just get more laundry done!' lol! I alternate between wanting to stab a finger in his eye and taking the kids outside so he can truly sleep. I have an almost 3 year old and a 1 year old and I can count on one hand the number of times he has offered to take the kids so I could nap (even though my 3 year old didn't sleep through the night for 2 years, and by then her brother was born so I basically haven't slept since I first got pregnant! I just stumbled on your blog and am happy to have found it. 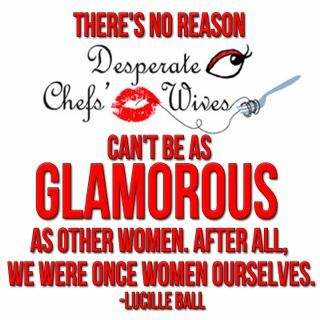 I would love to meet other chef's wives, but one of the drawbacks of being a chef for a big hotel chain is that you move every 2 years or so. We've moved 4 times in the last 7 years :) Thanks for being a voice to connect to! A. A. MY husband sleeps so much better during the day then he does at night. It's pretty funny. He can sleep through anything during the day. He is just so tired from work. My husband is an exec sous. I've got to wake up at 5:30 to get to work and I only get home almost 12 hours later, with a 4 year old to care for. He does between 10 and 13 hour shifts 6 or 7 days a week but he doesn't have to help with our daughter. The funny part, I moaned and said I bet every chef's wife complains about this, he said I doubt it. That's when I found your blog. 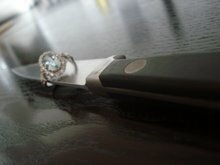 It made me feel like I wasn't just a nagging wife. It really is hard.